Federal authorities investigating a spate of pipe bombs sent this week to several prominent critics of President Trump have turned their attention toward southern Florida, believing that a number of the explosive devices were mailed from the area, as the New York Times’ William K. Rashbaum, Alan Feuer, and Adam Goldman report. Saudi Arabia indicated the killing of Saudi journalist Jamal Khashoggi was premeditated and lifted travel restrictions on his eldest son, the latest efforts by Riyadh to defuse a crisis that has rattled the monarchy, as the Wall Street Journal’s Margherita Stancati and Summer Said report. Dive Deeper: “Jamal Khashoggi and the Future of U.S.-Saudi Relations,” via the Wilson Center. European members of NATO urged the United States today to try to bring Russia back into compliance with a nuclear arms control treaty rather than quit it, diplomats said, seeking to avoid a split in the alliance that Moscow could exploit, as Reuters’ Robin Emmott reports. Dive Deeper: “Pulling Out of the INF Treaty Is a Mistake That Will Affect Us All,” by Chatham House’s Patricia Lewis. “Leaving the INF Treaty Now Is the Right Call,” by CSIS’s Ian Williams. Trade Chiefs Discuss WTO Reform, Without China and the U.S.
A group of global trade chiefs met today in Ottowa to start setting a reform agenda for the World Trade Organization, though it’s unclear how far they can take the effort with the U.S. and China excluded from talks, as Bloomberg’s Bryce Baschuk reports. And, according to the CBC, Canada’s International Trade Diversification Minister admitted that the thirteen WTO members who met will not succeed without an endorsement the United States and China. Dive Deeper: “Critical Questions: WTO Reform: The Beginning of the End or the End of the Beginning?” by CSIS’s Jack Caporal. Now enrolling for the Spring, CSIS & Syracuse University's Maxwell School of Citizenship and Public Affairs offer a new Executive Master's in International Relations. Information here. Defense Secretary Jim Mattis is expected to approve a request for 800 U.S. troops to travel to the U.S.-Mexico border to provide logistical support for border agents. 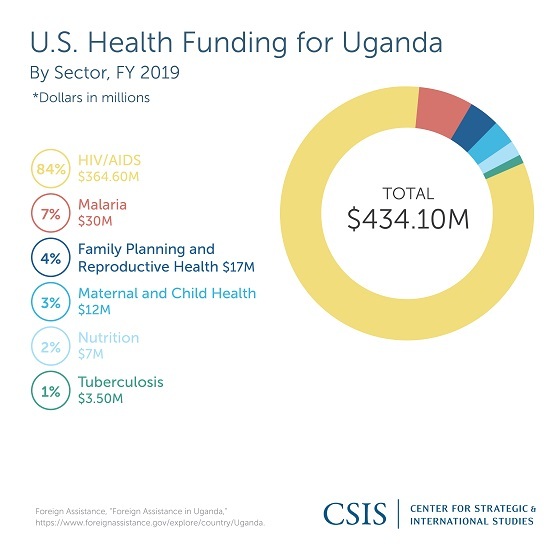 In April 2018, researchers from CSIS's Global Health Policy Center and Global Food Security Project visited Uganda to examine U.S. support for nutrition in the country. A new report lays out six options for U.S. policymakers to improve nutrition outcomes in the region. (Photo credit: Mark Wilson/Getty Images.) 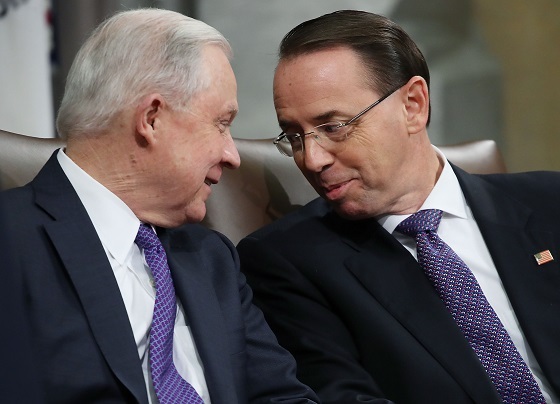 Attorney General Jeff Sessions,(L), and U.S. Deputy Attorney General Rod Rosenstein participate in the first National Opioid Summit, at the Justice Department, on October 25, 2018 in Washington, DC. “Trump from Reality TV to Twitter, or the Selfie-Determination of Nations,” by Brian T. Edwards, Tulane University, Dean of the School of Liberal Arts for the Arizona Quarterly. At 10:00 a.m., join CSIS's Freeman Chair in China Studies for "Self-Censorship Among China Hands: Myth & Reality." Later, at 2:00 p.m., CSIS's Transnational Threats Project will host Muriel Domenach, Secretary General of the French government's Inter-ministerial Committee for the Prevention of Delinquency and Radicalization (CIPDR), for a discussion on France's ongoing efforts to counter radicalization and violent extremism. Thomas J. Bollyky joined CSIS’s J. Stephen Morrison today to discuss his new book, Plagues and the Paradox of Progress: Why the World is Getting Healthier in Worrisome Ways. This was the first in a series of conversations intended to spotlight new thinking on health security. Watch the full event here. In a new episode of Energy 360, Kevin Book and Sarah Ladislaw talk about the upcoming U.S. midterm elections, and how energy is playing a role campaign strategies. It’s been fun this week to play some of my favorite Grateful Dead tunes and to hear about yours. “Jack Straw” is one of my all time favorites. It gives me chills (the good kind) just about every time I turn up the volume. In the ‘90s, the Dead used to play “Jack Straw” with a grinding urgency and power chords for emphasis. I loved seeing that live. I wish I’d been able to see them perform the song this way though, like they did in ’78.